So you’ve found the ones—the jeans that fit you like a glove. The hard part’s over. Now it’s time to plot the million and one ways you’ll style them, season after season. 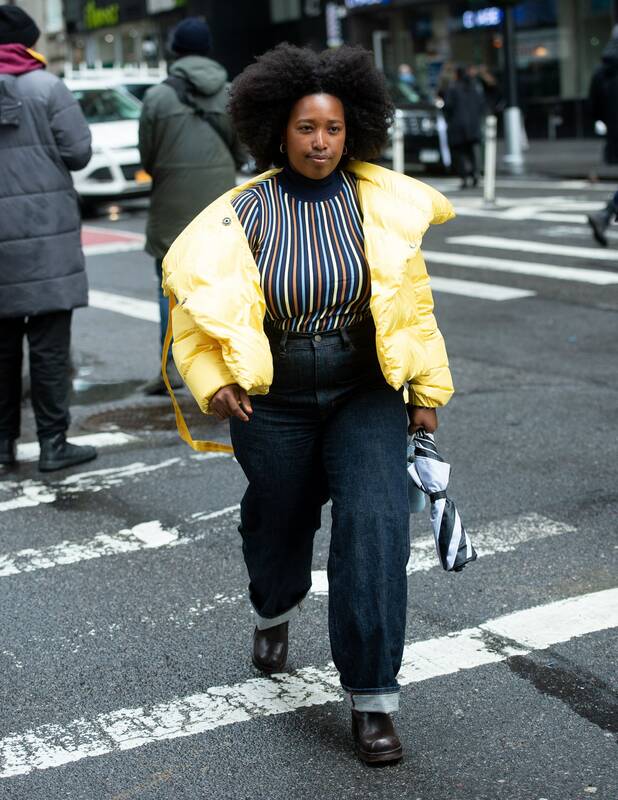 (Because once you’ve found your perfect denim that fits, you’ll be buying that one pair from now on.) First up: What shoes to wear with them? Every denim style has its perfect footwear mate. Here we break down the exact shoes to wear with every pair of jeans, from kick flares to overalls. Flares and heels are both items that lengthen the look of the leg. But they’re also perfect companions, since a solid block heel can provide that little extra bit of height you need to avoid a trip to the tailor. A patent boot goes with the seventies vibe of this denim style. 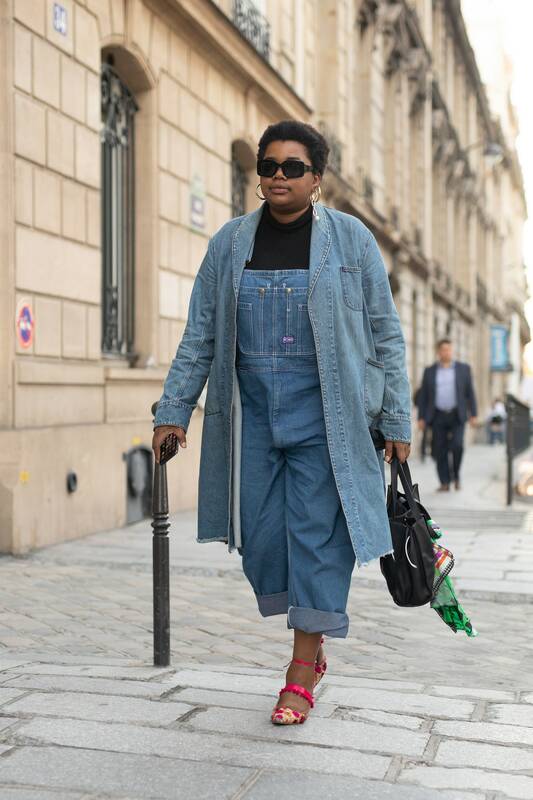 Though overalls are most closely associated with childhood, they still look amazing on adults. Style them with a sophisticated pair of heels for a dressier (and more grown-up) feel. A laid-back silhouette like kick-flare jeans should be styled with an equally easy shoe. Slip-on sneakers, loafers, or mules work great. Sure, denim shorts go with pretty much any type of shoe. But ballet flats are a slightly more sophisticated alternative to sneakers and flip-flops—and just as comfortable. An on-trend animal print makes a slightly slouchy but still slim-fit jeans feel more glamorous, whether you’re wearing them with a sweater in the winter or with a T-shirt in the summer. 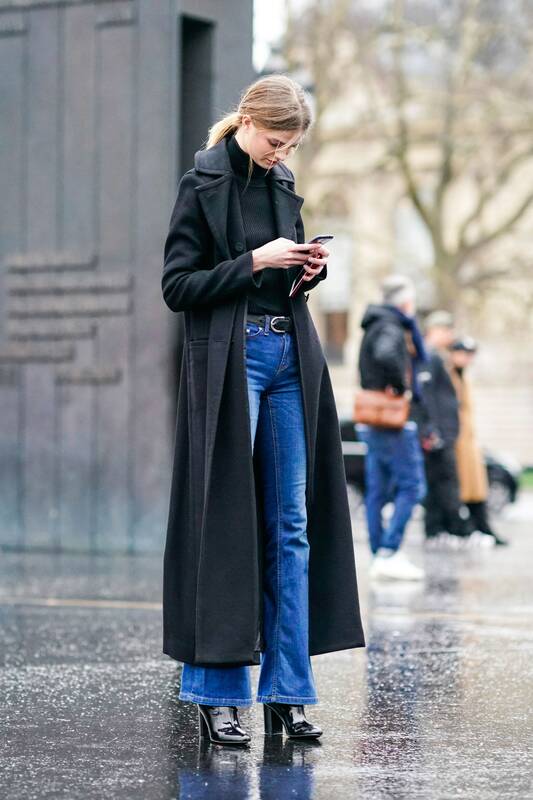 Straight-leg jeans can be tricky, but they always look great with a chunky pair of boots. You can either cuff them for a contrast effect, or tuck them in slightly to let the shoes shine. 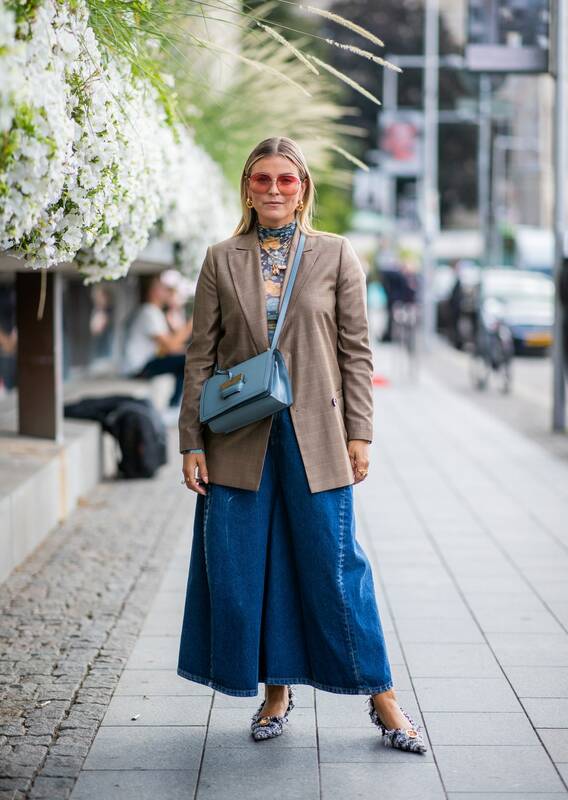 When it comes to a silhouette as eye-catching as that of denim culottes, you’ve got to go there with your styling. A pair of eye-catching kitten heels will do the trick. The easiest way to play up your favorite pair of skinny jeans? With a pair of statement dad sneakers. The crop puts all the attention on the footwear, letting you show off the shoe. Pair your summertime jeans with your summertime shoes: White denim and neutral flat sandals—strappy or slide style—make for an elegant but unfussy look.